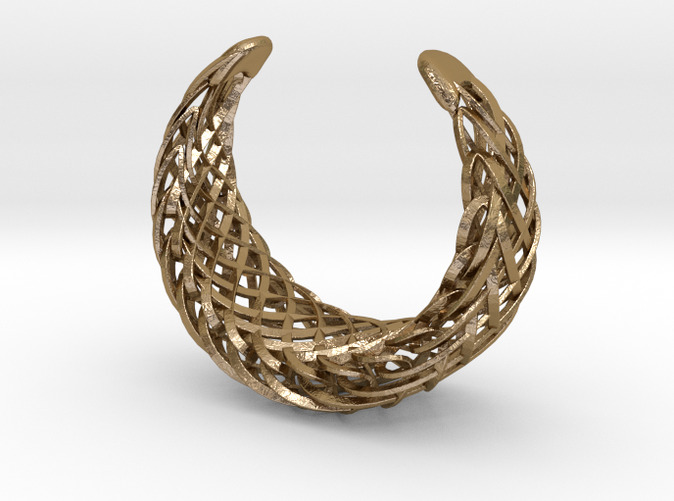 This stunning generatively designed bracelet looks great 3D printed in Steel or precious metal. 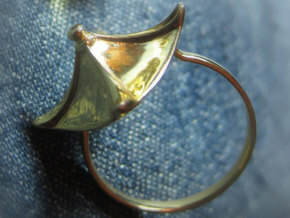 Inner diameter = 54mm. 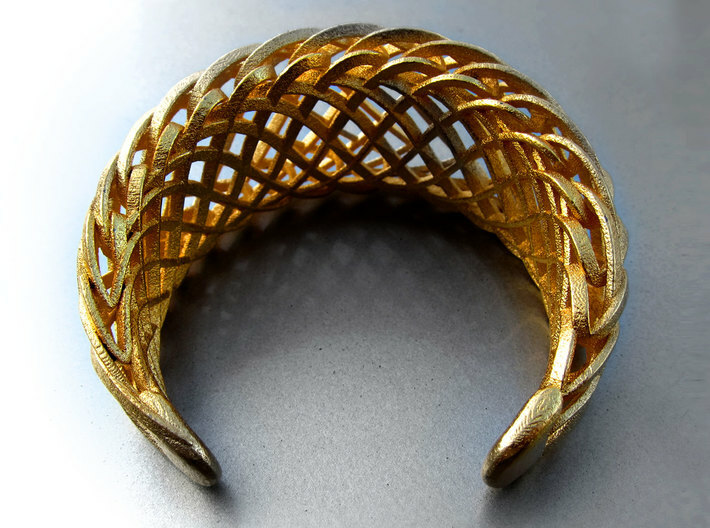 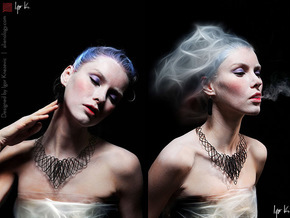 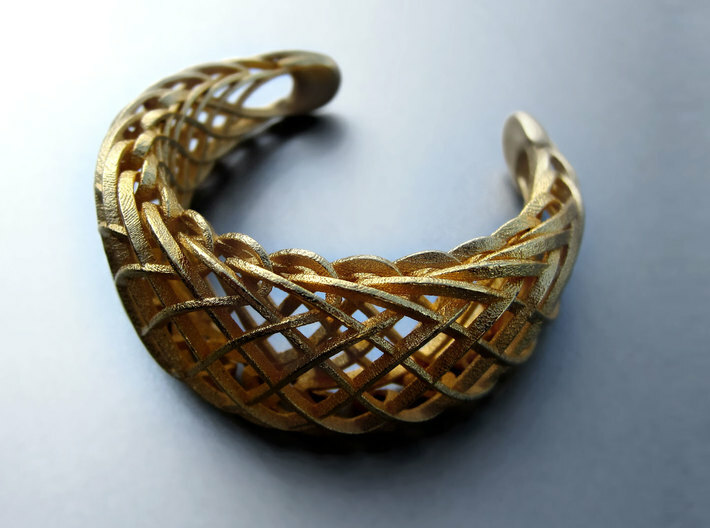 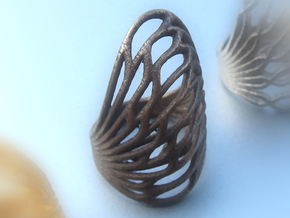 This design was one of the winners at Boston Design Museum 3D printing Jewelry competition.